Help Vampirina find the treasure! Join Vampirina and her friends as they help the ghostly pirate Rusty Topsail find hidden treasure . . . in Vee’s house! 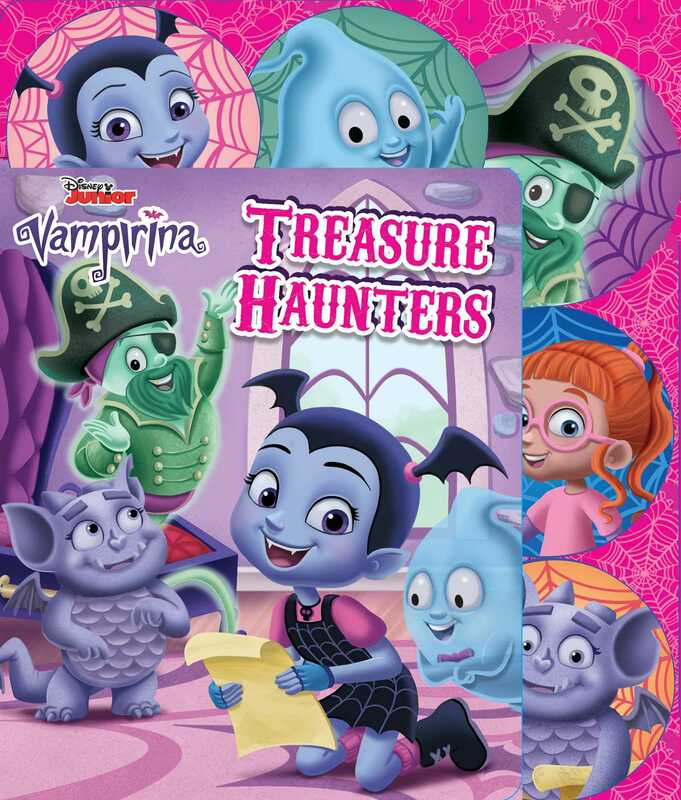 Vampirina Treasure Haunters is full of sliders that bring the characters to life as they follow the treasure map and solve clues to find the treasure chest!